Globalization, digital innovation and climate change, among other factors, continue to change the world in which we work — posing both challenges as well as opportunities in realizing women’s economic potential for a better tomorrow. 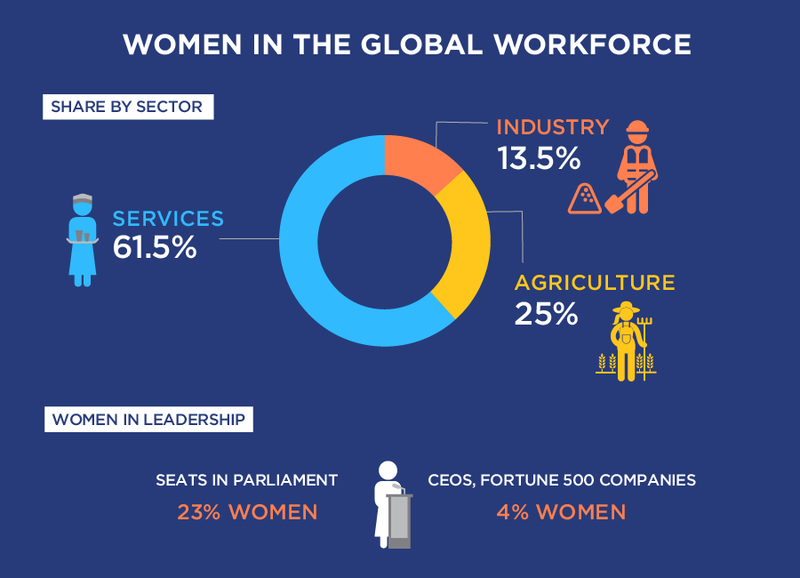 Below, explore just some facts on where women stand today in the changing world of work. 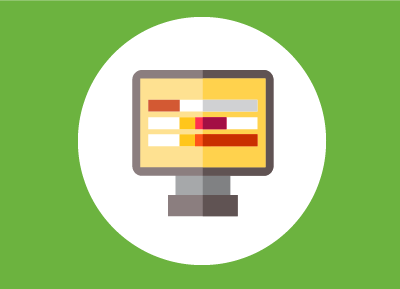 Click on the topic below to learn more. Even as globalization has brought millions of women into paid labour, the number of women in the workforce is far behind that of men. Gender inequalities have also concentrated women at the bottom of the global value chain — in the lowest paid jobs, in piece-rate, subcontracted work, and insecure forms of self-employment, with little or no access to decent work and social protection. Women are half the world’s potential and unleashing it requires access to decent, good-quality paid work as well as gender-sensitive policies and regulations, such as adequate parental leave and flexible hours. 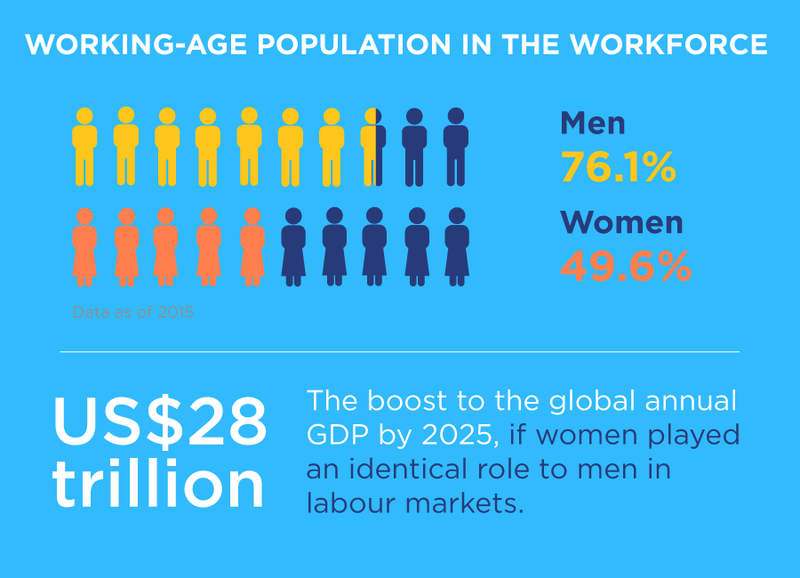 The economics make sense, too: If women played an identical role in labour markets to that of men, as much as US$28 trillion, or 26 per cent, could be added to the global annual Gross Domestic Product by 2025. Women are more likely to be unemployed than men worldwide, with wide disparities regionally. In 2015, around 197 million people of working age were unemployed – 27 million higher than the pre-financial crisis level of 2007. 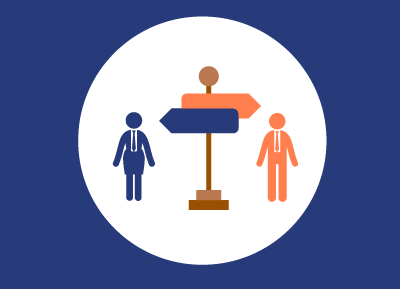 Youth unemployment is particularly concerning and can have detrimental long-term effects, such as loss of livelihoods, poverty, and psychosocial impacts: In 2015, the youth unemployment rate stood at 13.1 per cent – far higher than the global unemployment rate of 5.8 per cent. 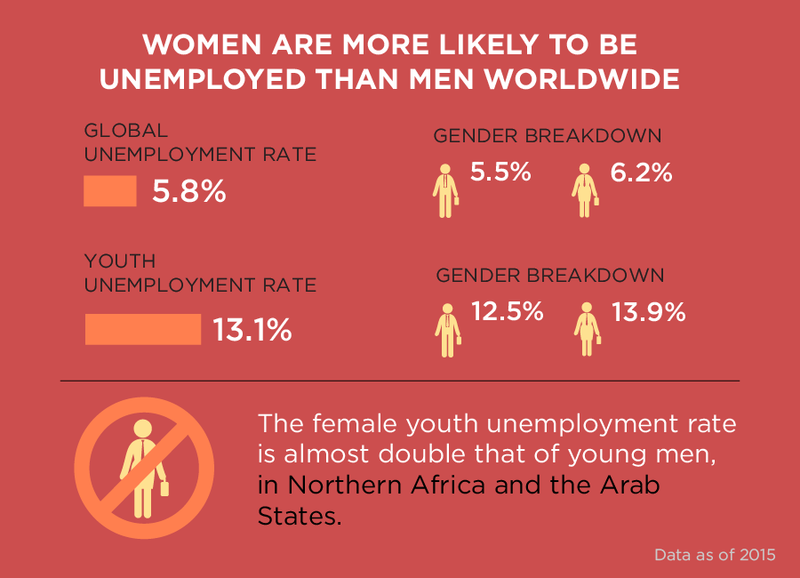 The gender disparity is acute in regions, such as Northern Africa and the Arab States, where the female youth unemployment rate is almost double that of young men, reaching around 44 per cent, despite the rising educational attainment of young women in these regions. This suggests that education alone cannot overcome structural barriers in labour markets. Sources: World Employment Social Outlook, Trends 2016, International Labour Organization; Women at Work, Trends 2016, International Labour Organization; Women’s economic empowerment in the changing world of work, Report of the Secretary-General, E/CN.6/2017/3, December 2016. 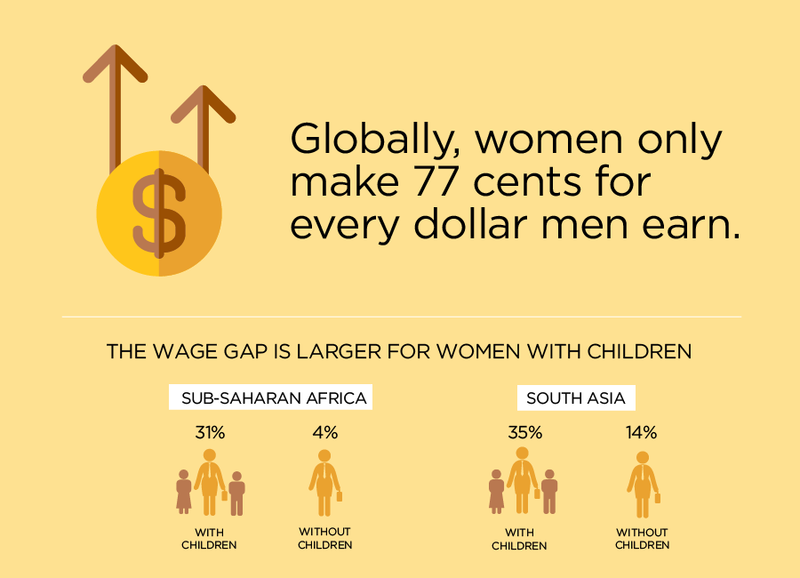 Globally, women only make 77 cents for every dollar men earn. This is a major cause of lifetime income inequality. At current rates, it will take 70 years to close this gap. Labour policies are a critical factor when it comes to this gap. For instance, women face greater constraints in balancing paid work and family responsibilities. 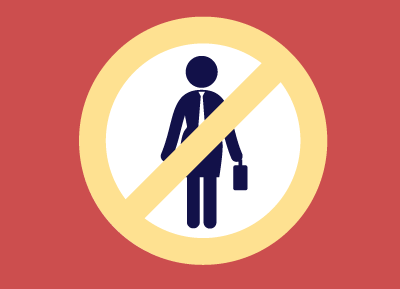 Restrictive policies, such as inflexible working hours and limited parental leave, can impede women’s mobility in the workforce and force them into part-time employment. In turn, this exposes them to further inequalities, such as limited access to social protection, in particular old-age benefits. Women with children are more vulnerable to these inequalities — also known as the motherhood penalty. In sub-Saharan Africa and South Asia, the gender pay gap is 31 per cent and 35 per cent, respectively, for women with children, compared to 4 per cent and 14 per cent for women without children. Sources: Women at Work, Trends 2016, International Labour Organization; Women’s economic empowerment in the changing world of work, Report of the Secretary-General, E/CN.6/2017/3, December 2016; Progress of the World's Women 2015-2016, UN Women. From cooking and cleaning, to fetching water and firewood or taking care of children and the elderly, women bear a disproportionate burden of unpaid work across the world. Unpaid work supports the economy and often fills in for lack of public expenditures on social services and infrastructure. In fact, unpaid care and domestic work is valued to be 10 and 39 per cent of the Gross Domestic Product. 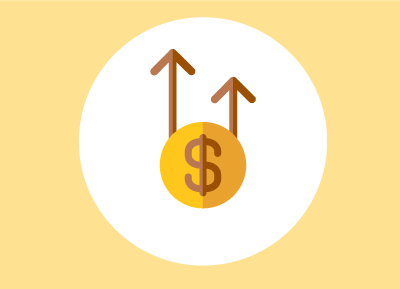 This means it can contribute more to the economy than the manufacturing, commerce or transportation sectors. 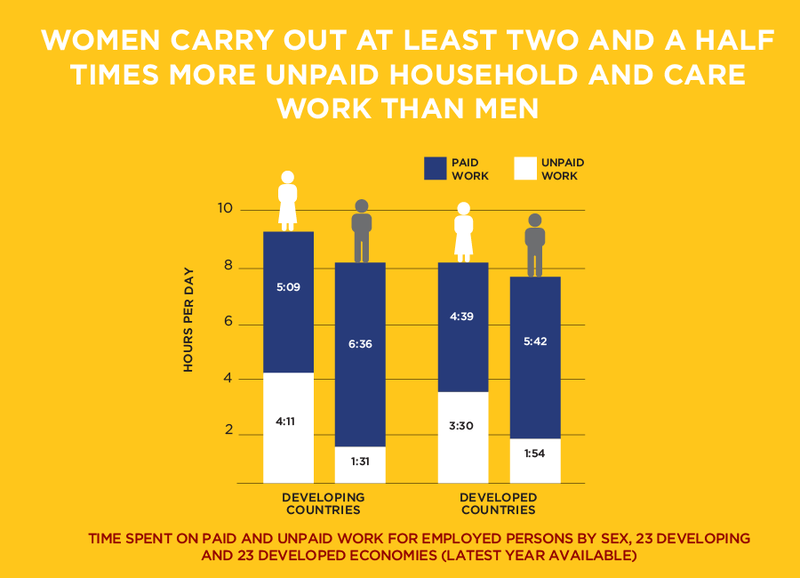 Besides men taking on a great share, policies that reduce and redistribute women’s and girls’ unpaid work, expand paid jobs in care services, and provide social protection and basic infrastructure, such as access to clean water, are essential for women to enter and remain in the paid labour force and realize their full economic potential. 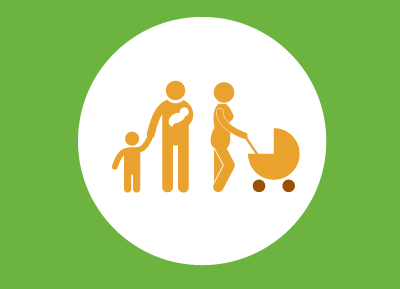 Parental leave and childcare services can help families distribute care responsibilities while meeting work priorities and, in turn, enable women to enter and remain in the labour market if they choose to. While virtually every country in the world has adopted some form of maternity protection legislation, only 63 countries comply with minimum standards set out by the International Labour Organization of at least 14 weeks of paid maternity leave. Even where laws are in place, it is estimated that only 28 per cent of women employed worldwide get to actually enjoy paid maternity leave. 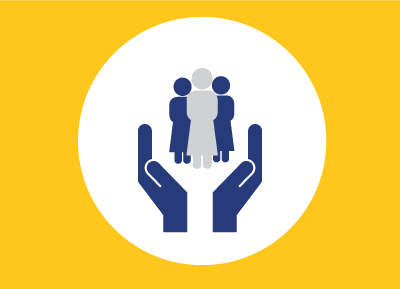 Parental leave policies that enable both partners to share childcare responsibilities play a critical role in ensuring the personal and economic wellbeing of women, families and societies. Women, particularly migrant women, are overrepresented in the informal sector around the globe. 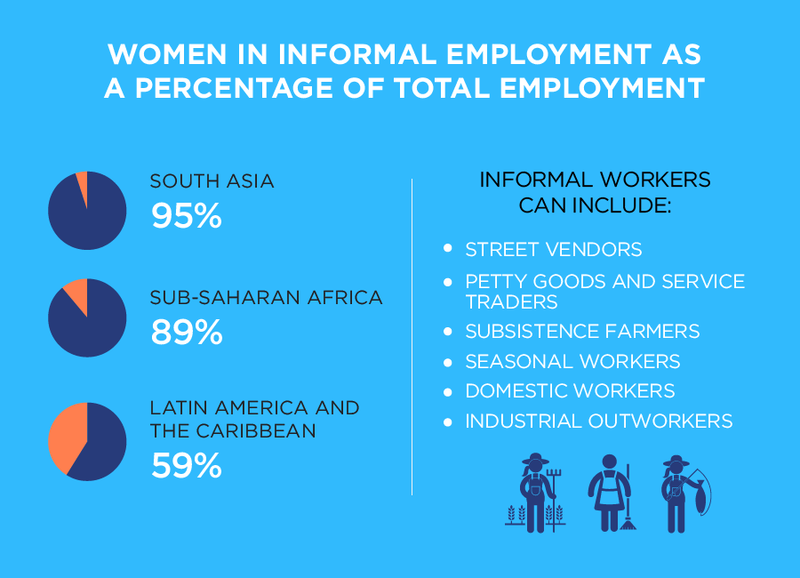 In developing countries, the informal sector is the primary source of employment for women. 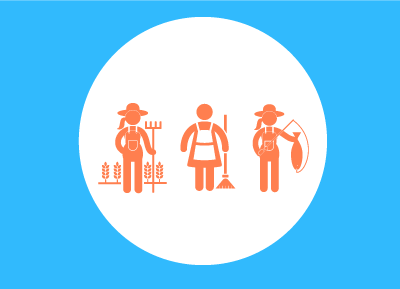 Informal work can include those who are self-employed — such as street vendors, petty goods traders and subsistence farmers — as well as waged workers in domestic or seasonal agricultural work. One of the most vulnerable forms of informal employment is contributing family work. Globally, women comprise 63 per cent of these workers, who are employed without direct pay in family businesses or farms. The informal economy, also know as the grey economy, falls out of the purview of labour laws, leaving many exposed to low pay and unsafe working conditions, and without social benefits, such as pensions, sick pay and health insurance. Poor working conditions in the informal economy are exacerbated by labour discrimination, sexism, racism and xenophobia. Migrants contribute to the economic and social wellbeing of societies both in their host and home countries. The money, also known as remittances, that migrants send back home can improve the livelihoods of millions and, in turn, strengthen economies. In 2015, international migrants sent an estimated $581.6 billion to their families in their home countries. Out of this amount, developing countries received about $431.6 billion, nearly three times the amount of official development assistance. More migrant women are in the global work force than non-migrant women, concentrated in female-dominated care and service sectors in the informal economy. 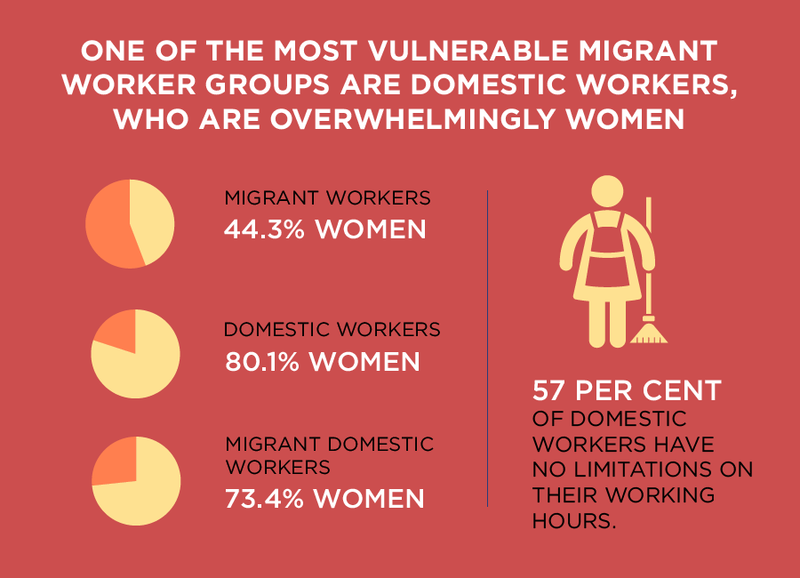 One of the most vulnerable migrant worker groups are domestic workers, who are overwhelmingly women and subject to poor working conditions, long working hours and limited to no social protection. 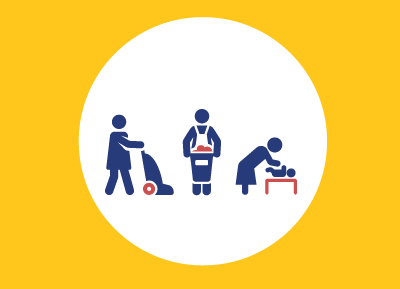 Globally, 57 per cent of domestic workers have no limitations on their working hours. A related concern is the trafficking of labour across borders: Migrants and young women are more likely to fall prey to unethical labour brokers, who through coercion and deceit expose them to precarious hiring arrangements and a number of other human and labour rights violations. Violence against women in the world of work is a human rights violation that affects women regardless of age, location, income or social status. 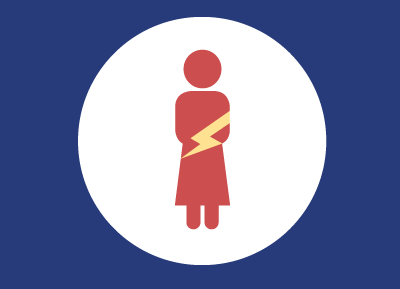 Women can experience harassment or sexual assault at or on the way to and from work. While many countries have laws or provisions to address such violence, their impact is limited. In the European Union, for instance, 55 per cent of women have experienced sexual harassment at least once since the age of 15. Of these, 32 per cent experienced it in a place of work. Violence against women can restrict women’s economic and social potential and have a significant impact on their physical and mental health, which can lead to absenteeism, missed promotions and job losses. Barriers to gender equality persist in every country, in both private and public spheres, and are rooted in historically unequal power relations between women and men. 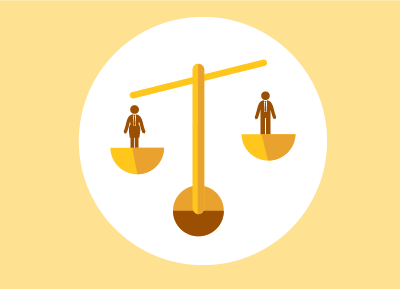 Legal barriers only compound gender inequalities, which manifest in fewer girls attending secondary school relative to boys, fewer women working or running businesses and a wider gender wage gap. 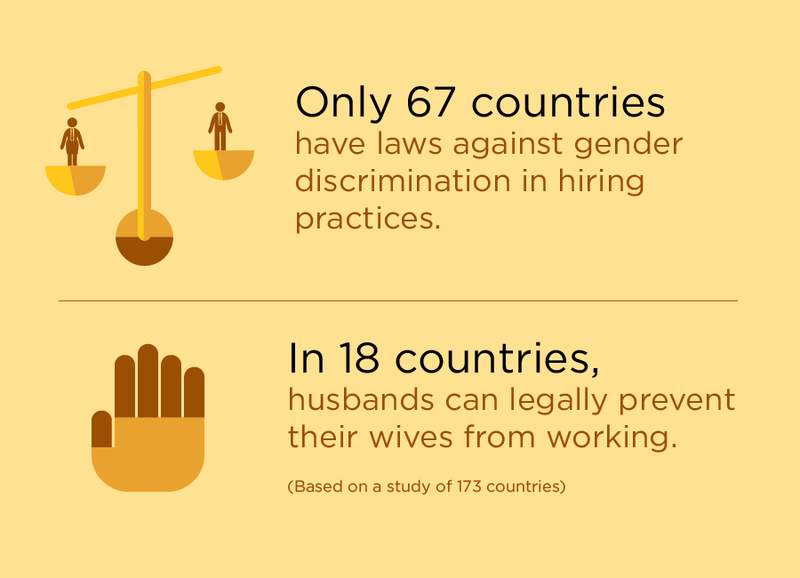 Today, at least one gender-based legal restriction on women’s employment and entrepreneurship still exists in 155 countries*; husbands can legally prevent their wives from working in 18 countries*; and laws against gender discrimination in hiring practices are only in place in 67 countries. 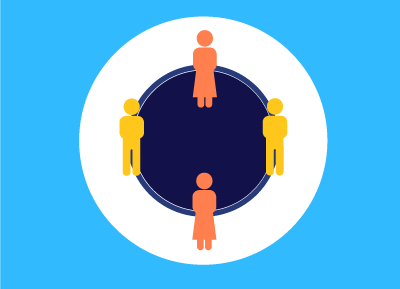 In order for women to realize their economic potential, countries need to remove discrimination against women in their legislation in line with the Convention on the Elimination of all Forms of Discrimination Against Women — the women’s human rights treaty that obliges countries to take concrete measures for the advancement of women in public and private life. Women are over-represented among the 73 per cent of the world’s population that has partial or no access to social protection, rendering them more vulnerable to poverty and other inequalities. Gender-specific barriers can have a domino effect in the type and degree of social protection a woman receives over the course of her lifetime. For instance, because women participate less in the labour market, and tend to earn lower wages and enjoy less access to credit and assets than men, they can face greater income insecurity and have less access to and lower coverage through contributory social protection instruments, such as pensions or unemployment compensation and even health insurance. In the end, many slip into poverty. 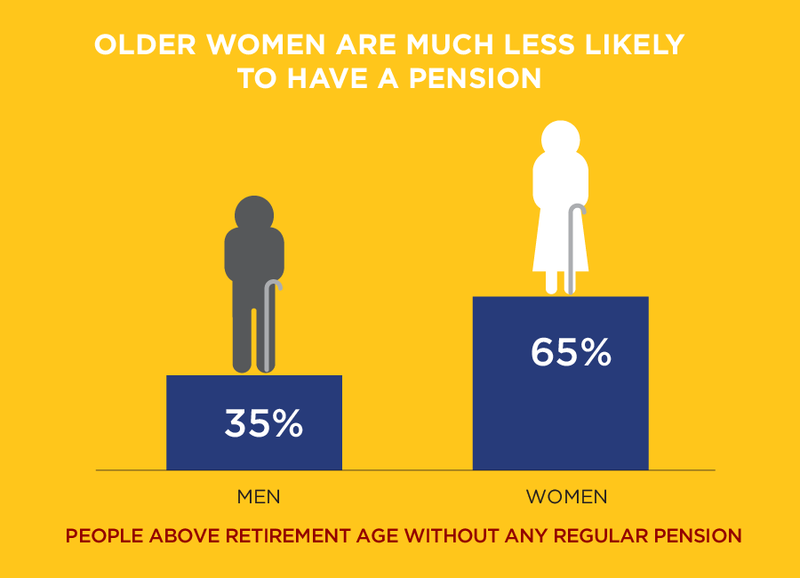 Globally, nearly 65 per cent of people above retirement age without any regular pension are women. This means that 200 million women in old age live without any regular income from social protection, compared to 115 million men. Automation, artificial intelligence, robotics and the internet, among other technological developments, have transformed the world of work, posing both challenges and opportunities for women’s economic empowerment. 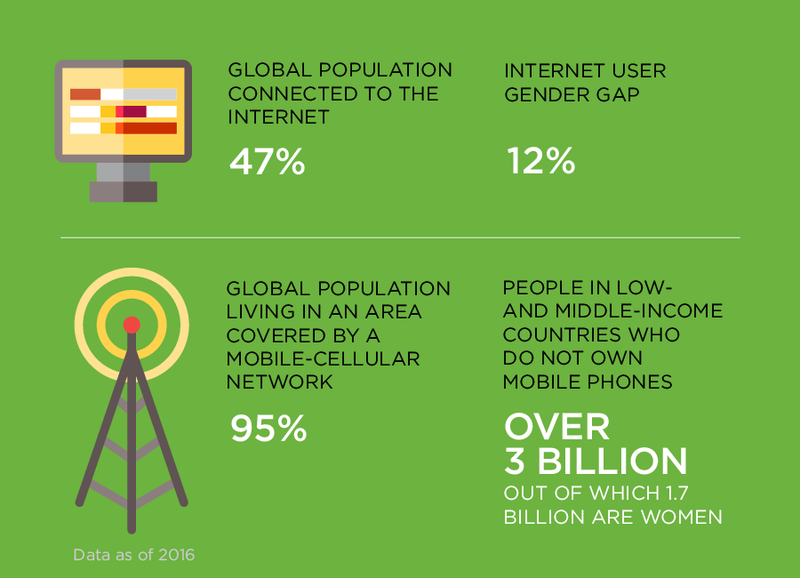 Notwithstanding the gender gaps that exist in the access and use of digital technologies, these same technologies lift geographical barriers that can be both beneficial and detrimental to women. 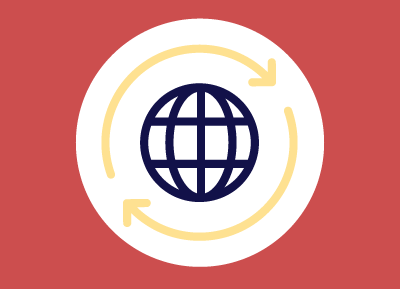 Let’s take a look at “crowdwork” in the gig economy, which operates through online platforms that connect firms with workers globally, providing individuals with more opportunities for income regardless of location. Yet, most crowdworkers are self-employed independent contractors without labour protections who are more vulnerable to potential risks and liabilities of transactions with customers. Gender inequalities that already exist for women are only mirrored, if not compounded, in the gig economy, which has mostly eluded labour protection and employment regulation. As this space continues to evolve, women need to be fully equipped with the education, training, and vocational and entrepreneurial skills to achieve equal outcomes and seize new opportunities as they emerge.